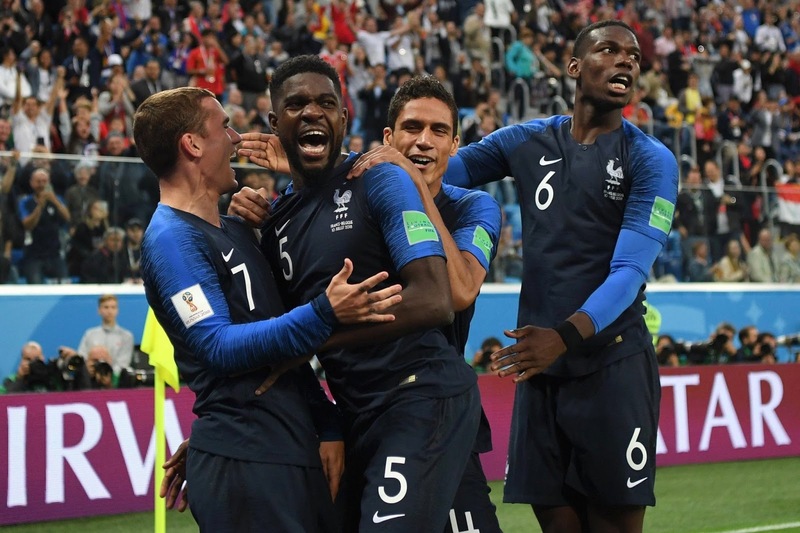 Barcelona centre-back Samuel Umtiti was Man of the Match for France in their World Cup semifinal win over Belgium as he scored the only goal of the game to take his country to their first World Cup final since the 2006 loss against Italy. After defeating Uruguay almost easily in the quarterfinal, France were destined to face a much more difficult task after it was confirmed they’d face Belgium, a team that knocked out Brazil, one of the main favourites. The game was even with both teams getting chances but no goal, until Samuel Umtiti showed up, beating Marouane Fellaini to head home from a Griezmann corner, a goal that ended up being the only goal of the game. The second semifinal promised an even more interesting game as Ivan Rakitic’s Croatia took on England. The Three Lions got an early lead through a Kieran Trippier direct free kick goal on the 5th minute but Ivan Perisic netted the equaliser in the second half before Mario Mandzukic scored the all-important winner in the second half of extra time with 10 minutes remaining. Croatia held on for the win and will take on France in the final on Sunday. Samuel Umtiti and Ousmane Dembele both have the chance to win a World Cup but will have to go through Ivan Rakitic’s mentally-strong Croatia team. Thomas Vermaelen will also be looking for a win against England to get a third-place medal. Anyway, a winners medal, as well as a runner-up medal, will come to Barcelona and possibly a third-place medal.